At the center of it all – SLS Brickell takes its standards of style, luxury and service to transform Downtown Miami's skyline. A feast for the senses. A creative cocktail of sophistication and playfulness. A hotel with elements of creativity and community featuring 124 rooms, world-class décor by Philippe Starck, unforgettable dining, an incredible pool deck, exclusive access to the sbe Collection and global concierge - SLS Brickell is an irresistible retreat in the city's center. You’re not just any guest, you’re an sbe guest. Book direct for VIP access to exclusive sbe Miami experiences. At SLS Brickell, we think outside the boardroom. We pride ourselves on flawlessly executing professional functions with our signature style, so it makes sense that we’re the trusted partner of the Fortune 500. With more than 58,000 square feet of indoor and outdoor event space; we pair breathtaking venues and creative culinary offerings with the best-in-class service that you’ve come to expect for your next Miami meeting or event! Ciel Spa offers pampering signature spa treatments & state-of-the-art facilities for the ultimate spa experience. Everything you need is here to immerse yourself in refined relaxation. VIP beach access to Delano Miami Beach, cabanas, lounges & towels await you to lounge the days away. Or revel in our open air pool deck with spectacular views spanning downtown & the bay. Our Fitness Center features cardio machines, spin bikes, and free weights. Complimentary stretching and yoga classes are also available, we'll even handle your fitness apparel laundering, no sweat. The residences at SLS Brickell, clad in floor-to-ceiling glass windows and doors, rise above the hotel guest rooms. While enjoying panoramic views, and all of the comfort and conveniences of life in a 5-star hotel, residents maintain their privacy by entering through the residential lobby with exclusive access to private residential elevators. Contemporary interiors and generous terraces set the stage for a truly elevated lifestyle. 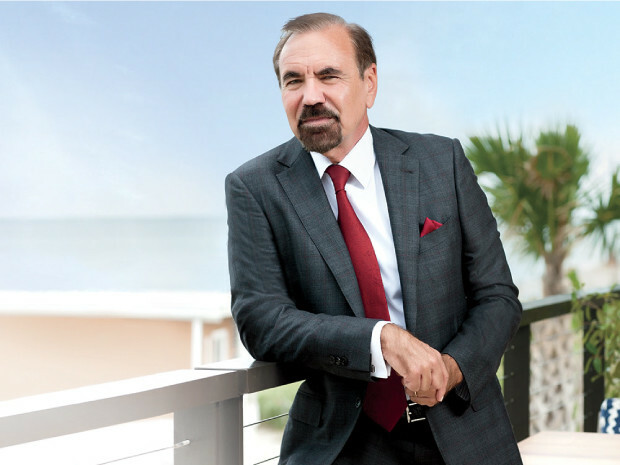 Established in 1979, Related Group is Florida’s leading developer of sophisticated metropolitan living and one of the country’s largest real estate conglomerates. Its innovative residential developments, that reach cross-market sectors, have dramatically altered South Florida’s urban landscape. Since its inception, the privately held company has built, rehabilitated and managed more than 90,000 condominium and apartment residences. Related Group has earned international status for its visionary designs and development of luxury condominiums, market-rate rentals, mixed-use centers and affordable properties – often in emerging neighborhoods that enhance the lives of all its residents. The Related Group is proud to present the SLS Brickell Art collection. The Related Group boasts an expansive art collection, consisting mostly of international contemporary art and has become a signature of the Related lifestyle. Residents and guests of SLS Brickell will not only be enchanted by luxury and stunning design but also a museum quality art collection including site-specific art installations and works by leading international contemporary artists, such as Markus Linnenbrink, Katja Loher, Fernando Botero, Ester Patergàs, Joaquín Boz, Ray Smith and Alex Marco.